Whether you’re bending back into bridge pose or easing into extended puppy pose, essential oils can help enhance your yoga practice. Beginners and yogis alike have used essential oils to promote relaxation for centuries. Essential oils and yoga are both used in Ayurveda, an ancient Indian healing practice that seeks to unblock the body’s chakras. The seven chakras are believed to be the energy centers of the body, and unblocking them allows for greater energy flow. Lucky for us, the benefits of combining yoga and essential oils extend to more than just balancing our chakras. We’ve come up with the following guide to help you incorporate essential oils into your next yoga sesh and power through that killer boat pose! 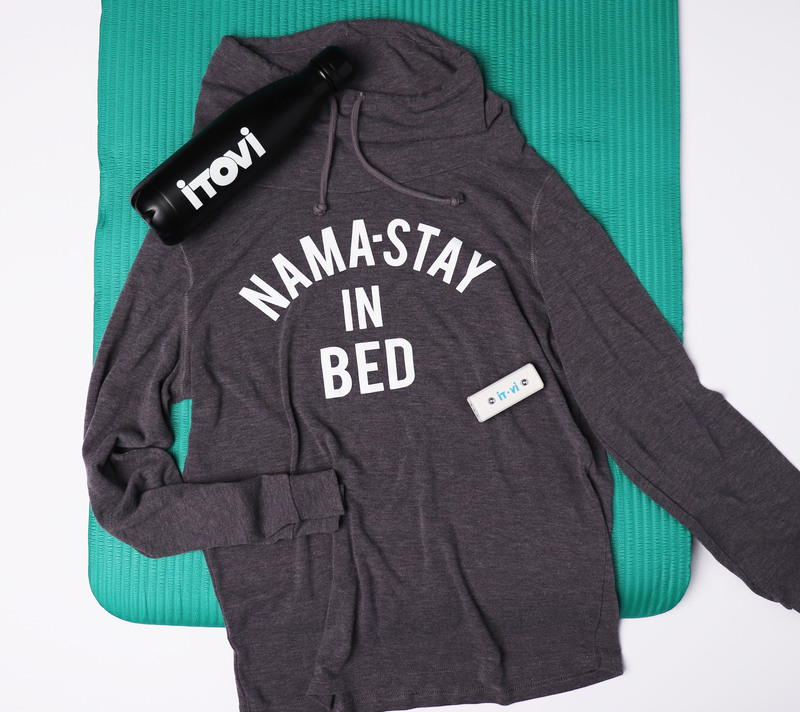 Before beginning your practice, we recommend scanning yourself and your yoga friends with the iTOVi. The products listed under the physical category may be used to further enhance your yoga flow. Whether your practice takes place in a studio or on a mountaintop, oils can be there to promote relaxation and enhance your breathing. Rubbing a favorite oil on your wrists and feet can help you feel grounded throughout your vinyasa flow. As you begin your Ujjayi breathing, hold your wrists up to your nose and mouth to fill each inhale with the scent of the oil. This will help you stay mindful of each breath throughout the rest of your session. If you practice yoga in a class with other people, be sure to ask around for any scent sensitivities before diffusing oils. Many yoga instructors choose to diffuse oils during the class to promote an uplifting atmosphere. As the oils fill the room, imagine that each breath inward cleanses your mind, while each breath outward allows the stress and negative energy to leave your body. Combine ingredients in a spray bottle and shake well before using. Spray yoga mat until misted all over and pat dry with a towel. If any of these products show up on your iTOVi scan, we highly recommend including them in your session! It’s no surprise that lavender tops the list as one of the most relaxing oils. While most people use lavender to ease into a deeper sleep, we like to diffuse it during savasana (also known as corpse pose) to really feel at ease with our bodies at the end of the practice. What better way to master the tree pose than using oil from an actual tree? Cedarwood’s grounding scent can help you feel powerful and calm as you flow through each sun salutation. 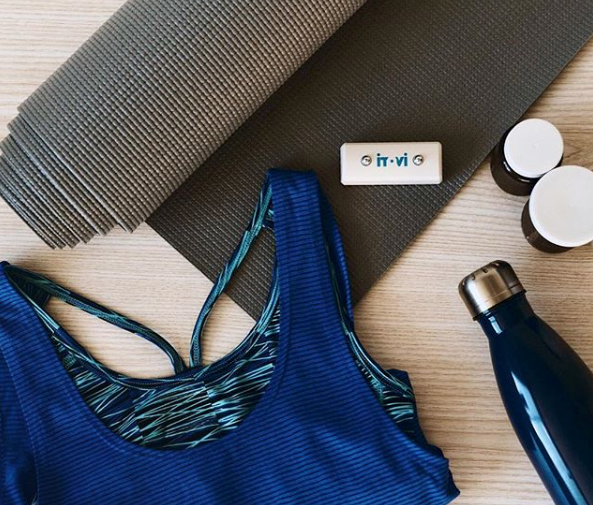 If you’re into yoga for the fitness aspect, we highly recommend diffusing peppermint to keep your energy levels up throughout your practice. Peppermint oil is often used to improve focus, which will come in handy if you’re hoping to keep your balance during Warrior III pose. Like peppermint, lemongrass oil will give you an energizing boost as you flow through each movement. You can focus on core strength with this citrusy scent by your side. With each breath in, you can feel the cleansing power of this refreshing oil. If your intention for this yoga practice is to detox from the stress of the day, then this is the oil for you. In order to get the most out of your yoga practice, stay mindful of your breathing as you power through each new pose. The addition of essential oils will help you as you deepen each inhale. Starting off the practice with a quick iTOVi hand scan can help you focus your attention on your wellness and which products may benefit you. At the end of your session, as you lie still in savasana, remember to thank your body for getting you through each day. Your body works hard for you, which is why rewarding it with a good stretch can feel so relaxing. Whether you use yoga to de-stress from a hectic week or to connect your mind, body, and spirit, we know these oils have worked for us to give us a more meaningful practice. Namaste!